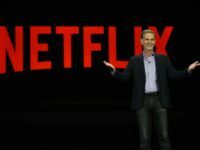 Netflix CEO Reed Hastings will leave Facebook next month after eight years service on its board amid reported, the social media giant announced. 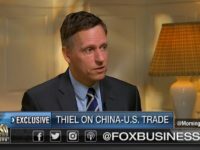 Elon Musk’s former business partner at PayPal, Peter Thiel, discussed the Tesla CEO’s time at the payment processor at a recent conference. 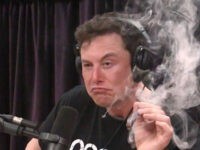 He specifically discussing Musk’s plan to give all PayPal customers credit cards and how the plan backfired. 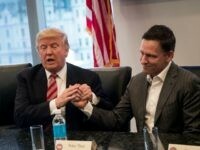 PayPal co-founder and prominent big tech supporter of President Trump Peter Thiel was reportedly the biggest donor to the Trump Victory Committee in the last quarter, donating $250,000. 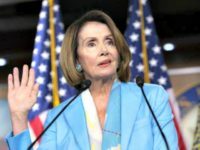 Bloomberg reports that Privateer Holdings Inc.owns 76 percent of Tilray, the Canadian marijuana company whose shares soared 65 percent on Wednesday. Tech entrepreneur Peter Thiel argued that groupthink is a major issue on college campuses during an interview with Dave Rubin this week. 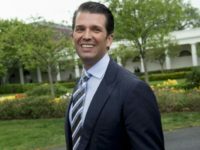 Donald Trump Jr. would “promote” an alternative social network created by Silicon Valley conservatives and encourage his supporters to join it, according to a report. 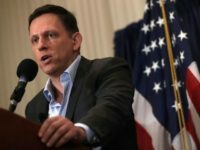 Speaking before a group of entrepreneurs in Sao Paulo, Brazil on Monday, Billionaire venture capitalist and PayPal co-founder Peter Thiel praised President Donald Trump as a “very healthy corrective,” to the unyielding growth of political correctness. 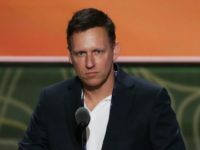 Billionaire investor Peter Thiel compared Silicon Valley’s one-party culture to “North Korea” in a speech to the Turning Point USA conference in Washington, DC, a gathering of conservative high school students. 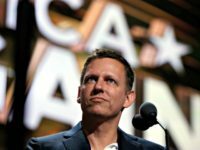 Silicon Valley billionaire Peter Thiel addressed a group of young conservatives on Wednesday evening. 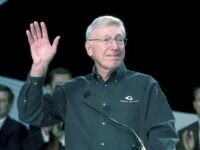 Bloomberg News noticed an interesting wrinkle in the saga of the Iran nuclear deal as President Donald Trump prepared to make a major announcement on its fate Tuesday afternoon: Trump supporter Peter Thiel and his Palantir Technologies, Inc. provide crucial services for verifying Iranian compliance. Sen. Maria Cantwell (D-WA) used her questions for Facebook CEO Mark Zuckerberg to unleash an attack on maverick Trump-supporting tech billionaire Peter Thiel’s data firm at Tuesday’s joint Senate Commerce-Judiciary hearings. 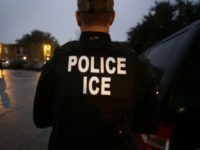 Immigration and Customs Enforcement (ICE) and Peter Thiel’s data analysis company Palantir reportedly used Facebook to track down an alleged child predator. 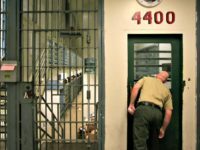 Like Peter Thiel, who recently moved from Silicon Valley to Los Angeles after facing repeated attacks from far-left activists, many tech workers are starting to “feel alienated” by Silicon Valley’s left-wing echo chamber according to the Wall Street Journal. Top-tier venture capitalist Peter Thiel is ditching the intolerance of Silicon Valley and moving himself and his personal investment arm to Los Angeles for better business opportunities. Billionaire venture capitalist and noted conservative Peter Thiel is leaving Silicon Valley for Los Angeles, according to the Wall Street Journal, amidst a continuing backlash against his support of President Donald Trump. Venture capitalist Peter Thiel has made an offer to purchase Gawker, but may face some challenges in purchasing the defunct media blog. 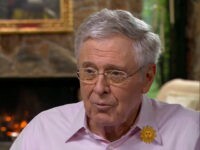 Founders’ Fund has reportedly invested between 15 and 20 million dollars on the volatile cryptocurrency. 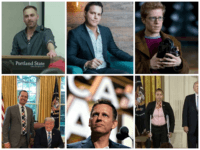 2017 has been a big year for LGBT conservatives, who faced an increasing amount of hostility following the election of President Trump. Former employees of the gossip blog Gawker, which was shut down in 2016, are attempting to raise enough cash to purchase the rights to the website and relaunch it. Billionaire investor and PayPal co-founder Peter Thiel has withdrawn himself from consideration in President Donald Trump’s Intelligence Advisory Board, according to a report. Peter Thiel has sold three-quarters of the Facebook shares he picked as Mark Zuckerberg’s first venture capitalist, even as the Silicon Valley boycott against him intensifies. 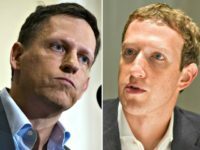 PayPal co-founder and Trump ally Peter Thiel has sold the majority of his stake in Facebook and reportedly seeks to purchase the remains of Gawker. 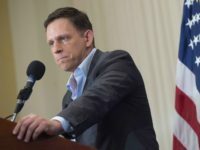 Silicon Valley’s Peter Thiel has finally cut ties with the Y Combinator investor fund, a year after being called a Silicon Valley traitor for his $1.25 million campaign contribution to Donald Trump’s presidential campaign.